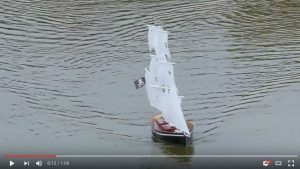 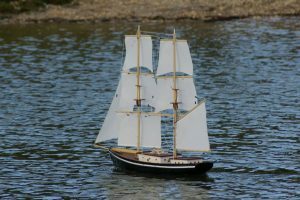 Pirate Brig; Model: Reg Radley. 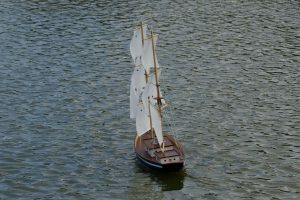 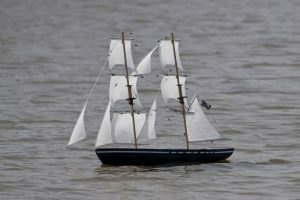 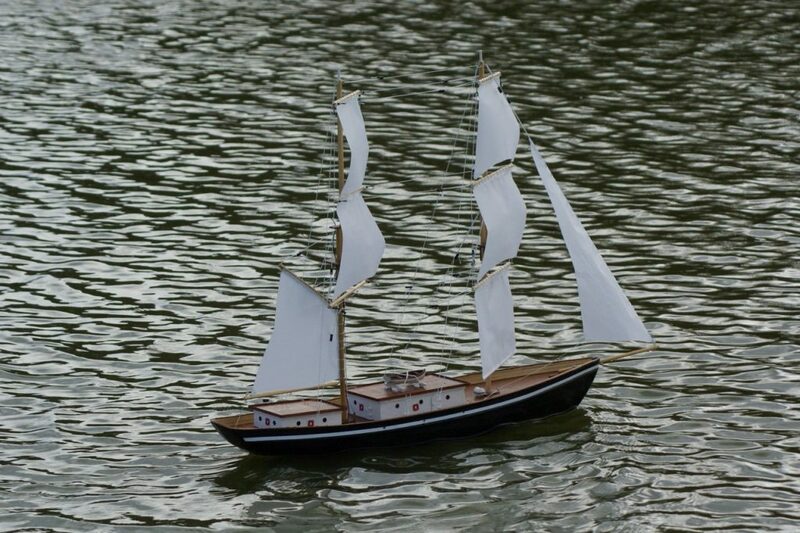 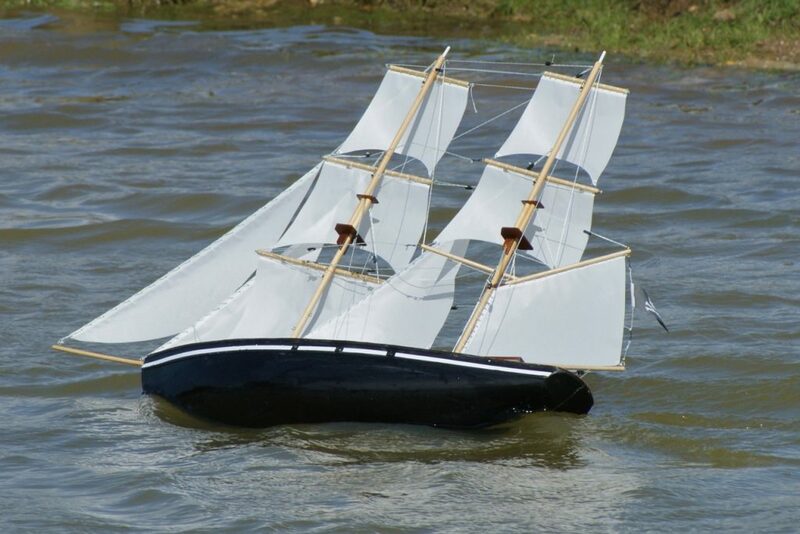 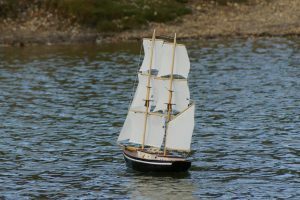 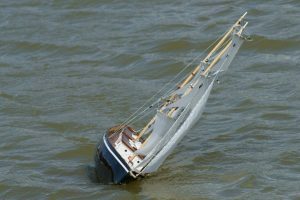 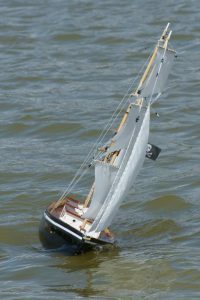 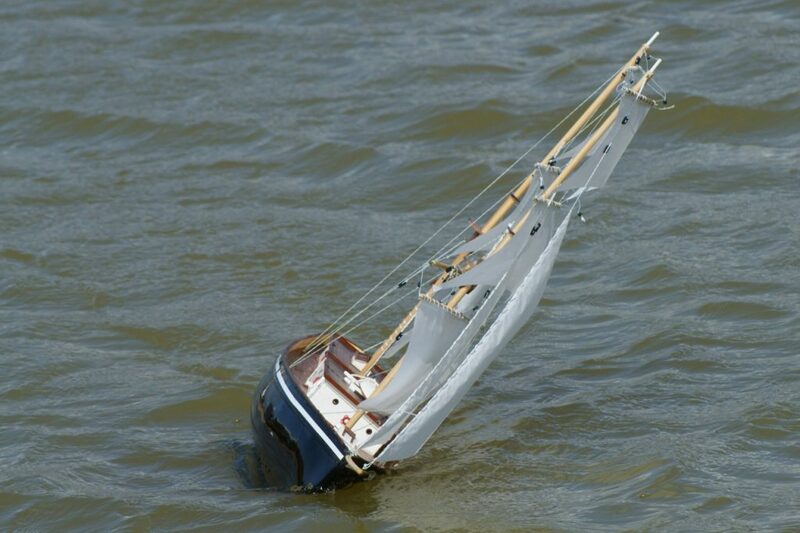 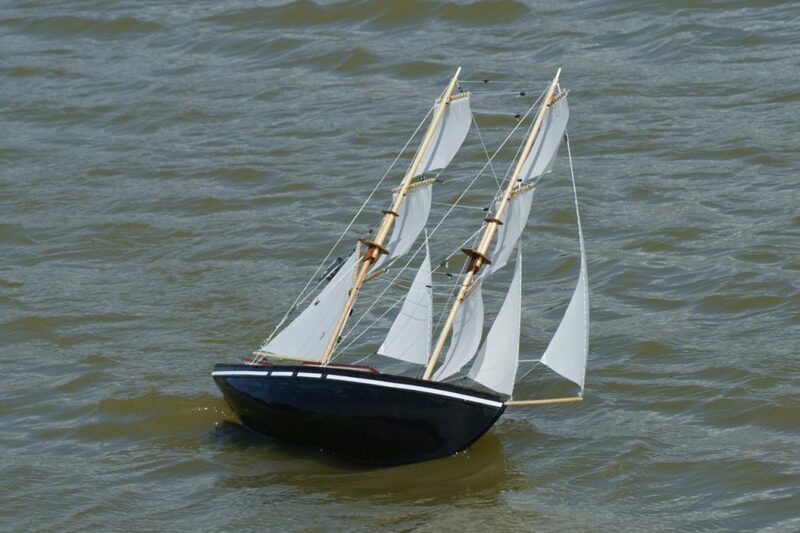 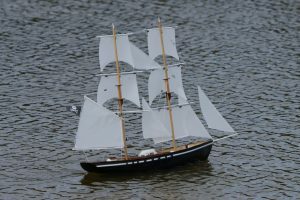 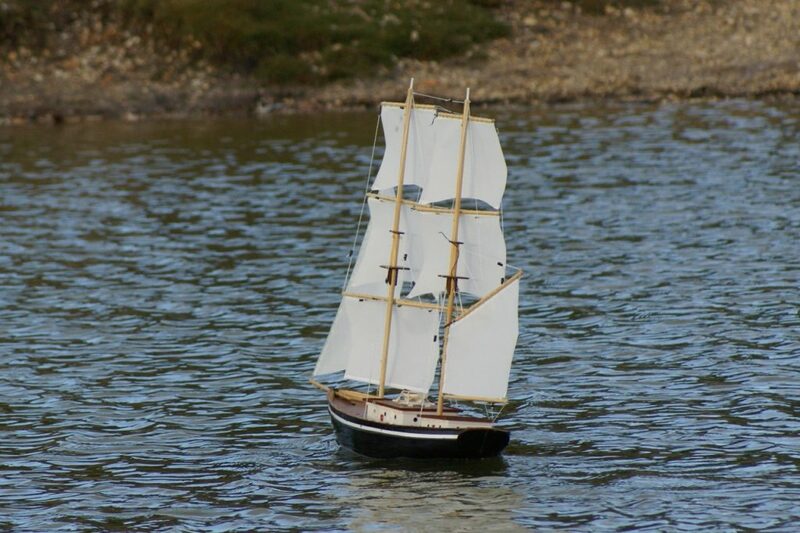 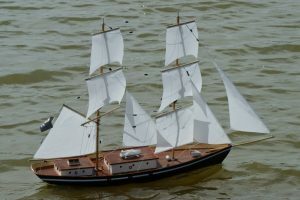 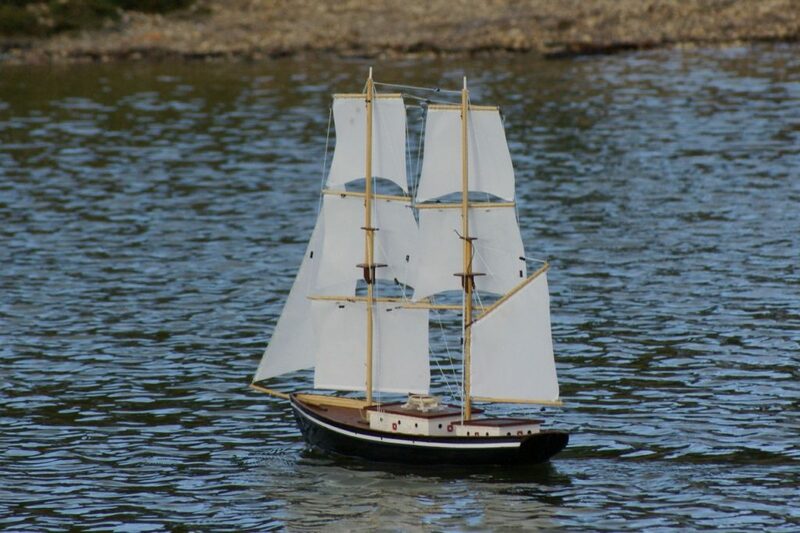 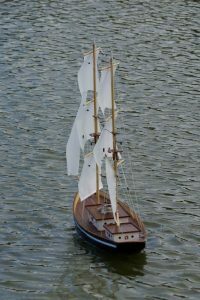 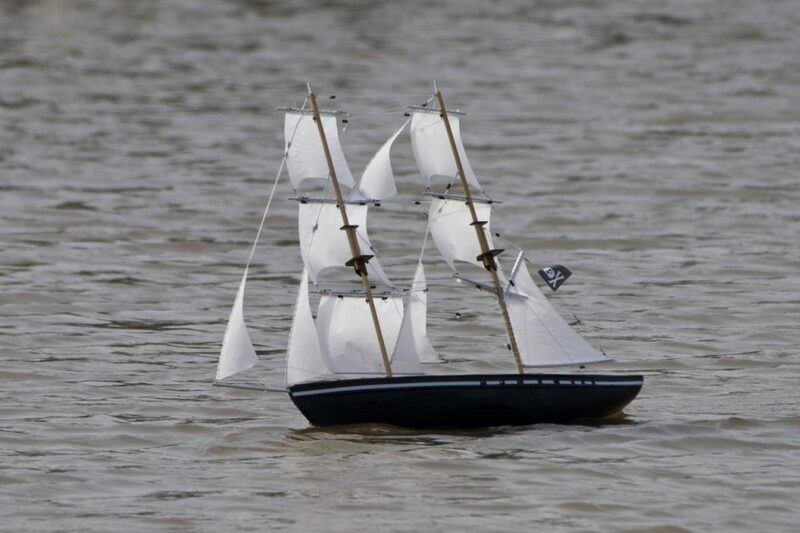 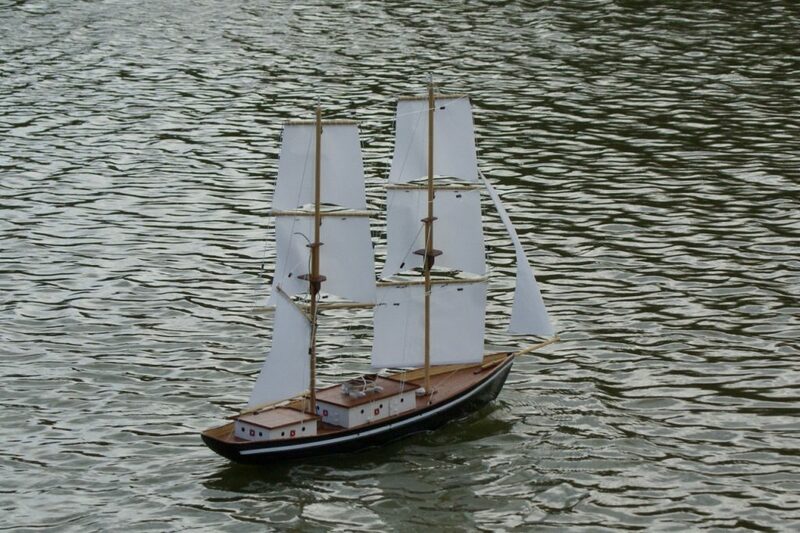 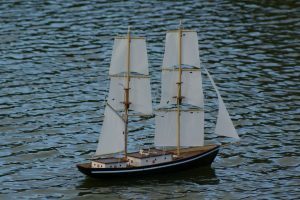 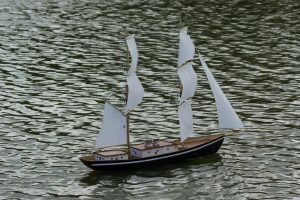 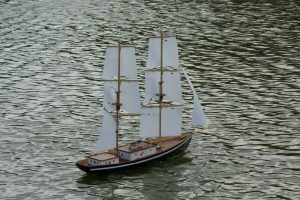 Reg Radley has enter the age of square-riggers with this plank on frame model of a Brig. 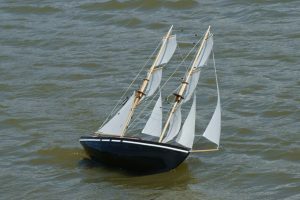 In strong winds she gets driven rail-under but copes well.